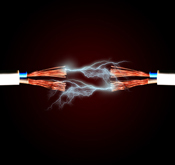 Why have Bradley Electric rewire your older home when remodeling in Westerville, Ohio? Older homes in Westerville, Ohio can get to a point where they are no longer truly functional or convenient. This is when most residents will attempt to remodel the house. Part of the project is rewiring the area. That job should be left to the right professionals. Here are some reasons to have Bradley Electric rewire an older home undergoing remodeling in Westerville, Ohio. One of the main reasons to call in Bradley Electric to rewire an older home is that the company has over a quarter century of local experience. That is over two decades performing electrical work in and around Westerville, Ohio. That local experience will ensure that the company knows all the local building codes so that the wiring complies with regulations. It also means the company understands the unique challenges that face electrical wiring components in Ohio. Homeowners need to be cautious about electrical contractors that do nothing but subcontract work out to inexpensive and inexperienced people. This can harm the quality of any job. Fortunately, Bradley Electric employs only trained and licensed electricians. Homeowners in Westerville, Ohio can be confident that the electrician doing the job has been formally trained and working for some time. 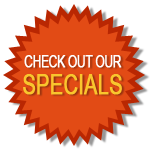 Every electrician working for the company is reliable and professional. The last thing any homeowner wants to learn is that an electrical contractor tried to cut costs by using the least expensive and lowest quality supplies. This can put the house at risk and cause many other problems over the next few months. Bradley Electric uses only the most modern supplies when rewiring older homes that are being remodeled in Westerville, Ohio. The modern supplies could improve the energy efficiency of the old house and lower power bills. 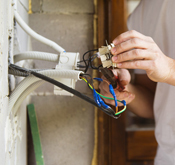 Choosing an untested contractor, unskilled handyman or do-it-yourself rewiring can be incredibly dangerous. A single small mistake or misunderstanding could result in a massive fire. Someone in the house could be electrocuted while trying to use something attached to the new wiring. Hiring Bradley Electric in Westerville, Ohio will allow homeowners to prevent dangerous mistakes that could harm people in the house. Homeowners want any remodeling project in Westerville, Ohio to be finished as quickly as possible. This is especially true when dealing with an older home. A good reason to have Bradley Electric do the rewiring during remodeling is to get the job the fast. The electricians will work as quickly as possible to minimize inconvenience and allow the remodel to continue on as planned.